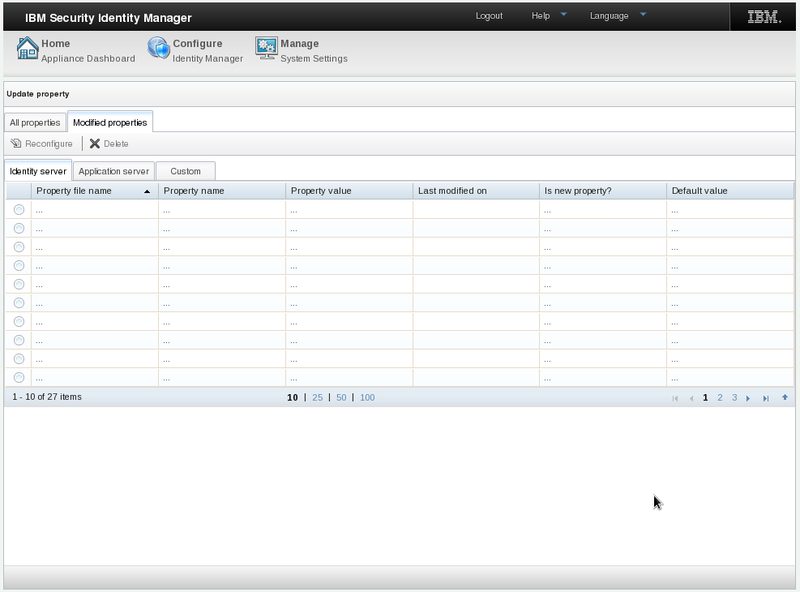 After you setup your ISIM 7.0 Virtual Appliance, you may want to fine tune the system by modifying certain ISIM properties. 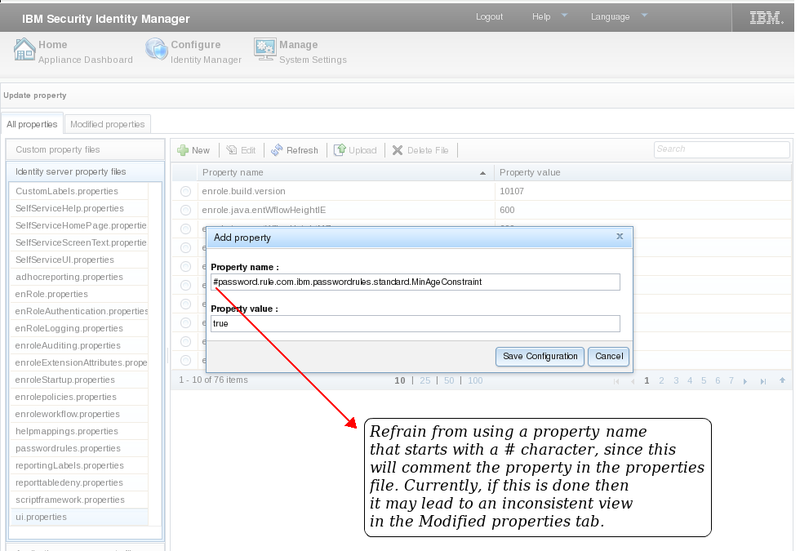 For ISIM VA, properties can be modified by navigating to Configure -> Advanced Configuration -> Update Property. If you decide to add a new property, ensure that you do not use a property name that starts with a hash '#' character. The above format, indicates that the property has been commented / deleted. NOTE: If the user tries to do such a operation, then the Modified properties tab will show inconsistent values or no values. 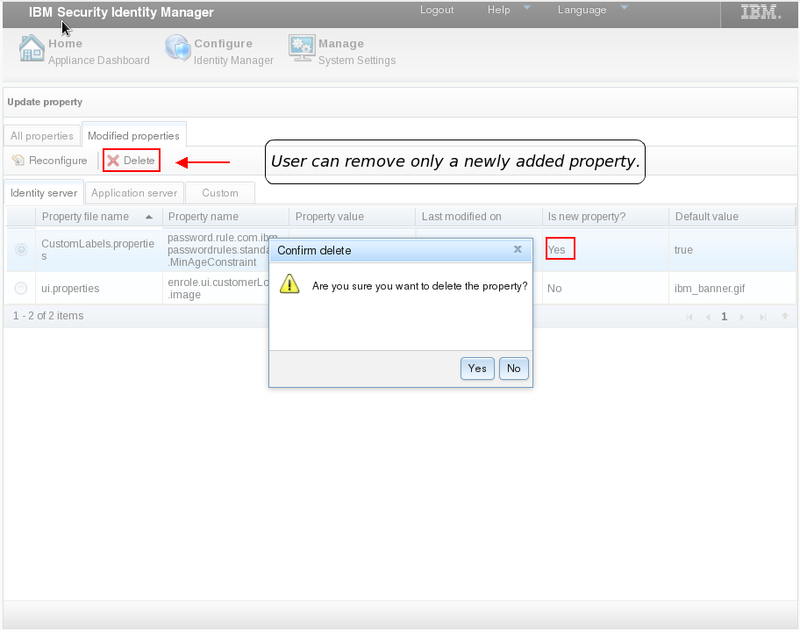 The above issue is more of a usability issue, but will not affect the applications using the property file in question. If you had created a property whose name starts with a # character then, it will not be visible in the UI, however you can go ahead and add the same property without the # character to see the property listed in the UI.